Jethro Tull, Thick As A Brick. Thread: Jethro Tull, Thick As A Brick. Wonder how many have seen this video by Jethro Tull https://www.youtube.com/watch?v=hAt1b21S97k Ian Anderson was and still is one of my favorite artists. Stan and empee like this. Thanks for the trip down memory lane. I'd forgotten how good they were! Jethro Tull has been one of my favorite bands for many decades now. I attended their concerts when I was young and have continued to do so in the following 40 plus years. The very first Rock concert I took my kid to was, yup, Jethro Tull. Where Ian as usual showed off his skill with the flute dancing around the stage while playing it and earning the nickname from my kid of 'The Prancing Man'. He was utterly transfixed for the whole concert, leaning on the railing (We had 1st row seats on the first balcony, best seats in the house!) with his eyes glued to Ian. 'Twas a great day/concert and one he no doubt remembers to this day. Memory Lane indeed. I have been a Tullie since 1971 when a mate played his Aqualung album for me. Have acquired each album as it was released over the years and consequently have some of them in several formats. As well as the 20 Tull Studio Albums I also have Ian's 6 Solo albums and the 20th and 25th Anniversary Box Sets that I was lucky enough to get from the US some years after their release. I've bought a few of the 'Compilation' and 'Live' albums as well. My favourite Band by a big margin. 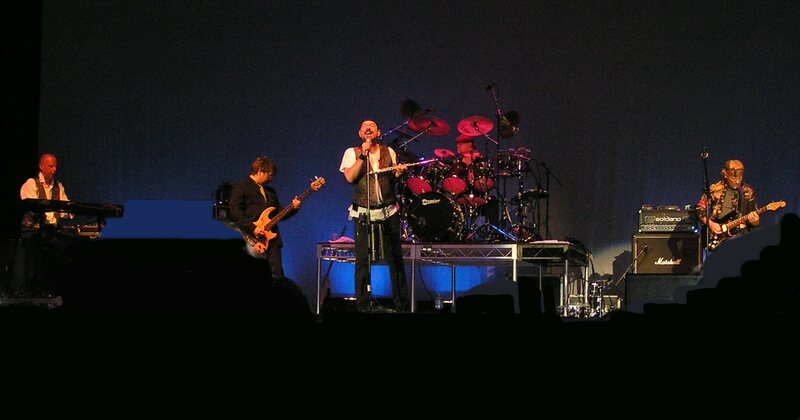 Below - a nice blurry photo from about 20 rows back in Brisbane in '05. Last edited by Rocky; 6th February 2017 at 10:01 PM.